The data also showed a meaningful improvement in health-related quality-of-life measures in the olaparib arm. “OlympiAD is the first phase 3 study in metastatic breast cancer demonstrating benefit for a PARP inhibitor over an active comparator. 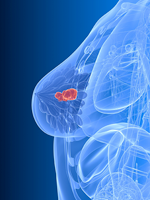 It is our opinion that olaparib could be an effective treatment option for women with BRCA mutations and metastatic HER2-negative breast cancer, including, importantly, women with BRCA mutations and triple-negative breast cancer,” he said. The 302 patients who were enrolled in the OlympiAD clinical trial had hormone receptor (HR)-positive or triple-negative, HER2-negative metastatic breast cancer with germline BRCA1 or BRCA2 mutation. All patients had up to 2 previous cycles of anthracycline- or taxane-based chemotherapy, and those with HR-positive disease had received hormonal therapy. Patients were randomized in a 2:1 ratio to olaparib tablets 300 mg twice daily or to single-agent chemotherapy at the physician’s discretion. The olaparib dose used in this study is different from the FDA-approved 400-mg twice-­daily dose in capsule formulation for BRCA-positive ovarian cancer. Treatment continued until disease progression or until unacceptable toxicity. 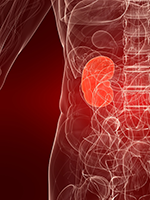 Patients were evenly split between HR-positive and triple-negative disease. Overall, 71% of patients received previous chemotherapy for metastasis. At the time of data cut-off, 82% of olaparib recipients and 97% of chemotherapy recipients discontinued treatment; 73% of patients in the olaparib arm and 75% of patients in the chemotherapy arm discontinued treatment because of disease progression. The median PFS was 7.0 months in the olaparib arm compared with 4.2 months in the chemotherapy arm (hazard ratio, 0.58; P = .0009). The median time from randomization to second disease progression or death was 13.2 months with olaparib versus 9.3 months with chemotherapy (hazard ratio, 0.57; P = .0033). The overall survival (OS) data are not mature, but a preplanned interim analysis revealed no difference between the 2 groups in median OS (P = .5665). However, an exploratory, preplanned, subgroup analysis showed a significant PFS benefit of olaparib in patients who received or did not receive previous chemotherapy, patients who did not receive platinum-based treatment, and those with triple-negative breast cancer. Grade ≥3 adverse events rate was 36.6% in the olaparib arm and 50.5% in the chemotherapy arm. In addition, 4.9% in the olaparib arm discontinued the study because of adverse events versus 7.7% in the chemotherapy arm. The median treatment duration was more than 2-fold greater in the olaparib arm (8.2 months) than in the chemotherapy arm (3.4 months). “This is really a major step forward in breast cancer. It’s almost as much a proof of principle as it is practice changing, as these drugs do work in breast cancer if we’re smart and if we’re precise. If we are precise in what we do, this is a drug that has fewer side effects and works better than what we’ve done in the past,” said ASCO President Daniel F. Hayes, MD, FACP, FASCO.